Contractor Lexington, KY - View The Services We Offer! 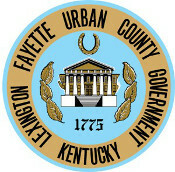 As a contractor in Lexington, KY we are dedicated to providing quality services to local Fayette County residents. The following are a list of our services we provide in Lexington. We are proud to be centrally located in the bluegrass state. When we finally convince ourselves that we deserve a much needed day off, you may see us visiting the University of Kentucky taking in a Wildcats game.